The weekend just may not have seen the world end, but it did see yr. obdt. flying home to Colorado for a weekend, a pleasant break from the peripatetic nuttiness of Silicon Valley. Unfortunately Mrs. Animal is in Michigan visiting the two college kids, so I ended up hanging out with our son-in-law. We went out to his Dad’s place on the eastern plains and burned up a fair amount of ammo. 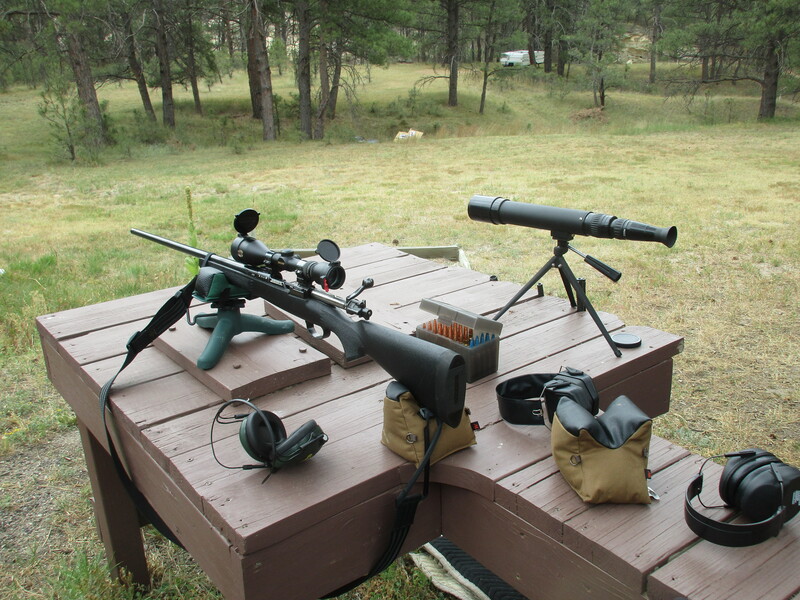 I checked the zero on Thunder Speaker in anticipation of next month’s deer and elk hunt, and after a comment that he’d never fired a rifle of that power (.338 Win Mag) I let the son-in-law take a couple shots off the bench. Thunder Speaker on the bench. Unfortunately he wasn’t used to the stiff recoil that Thunder Speaker delivers, and ended up taking a whack from the eyepiece of the scope. Oops. But, as I told him, there are few dedicated shooters of hunting-caliber rifles that haven’t ended up with a case of Kaibab Eye at one point or another. But the fun part of the day was when the e-e-e-e-e-e-evil AR-15 came out.